If Beyoncé’s taught us anything, it’s the answer to the age old question, ‘Who runs the world?’ The answer? Girls. Artist, stylist and feminist, Jess de Wahls, brings this concept well and truly to life with her 11-day #BigSwingingOvaries exhibition. 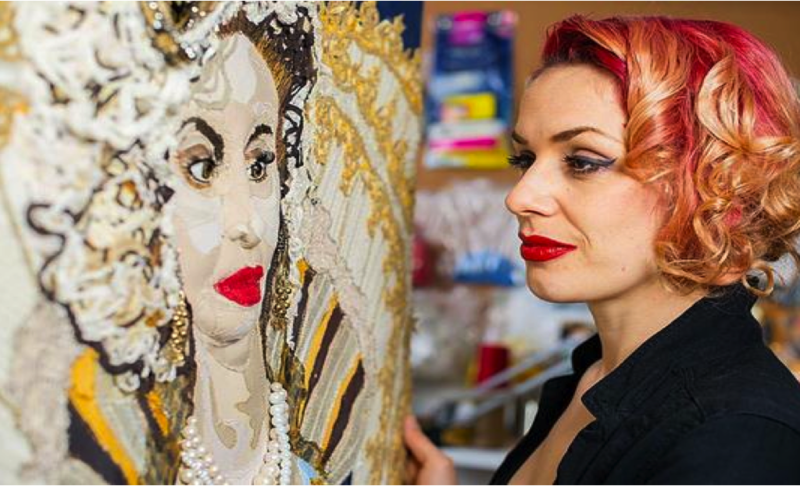 Kicking off on International Women’s Day, the exhibition will be displaying hand-sewn relief portraits which use a mixture of recycled clothing (donated from friends and family) and plywood to create 3D depictions of inspirational women from across the globe; expect to see everyone from Angelina Jolie to Jo Brand. Creating something valuable from something seemingly worthless, the message of this exhibition is to outline the importance of female role models within our society, to challenge people to overcome preconceptions about feminism and to raise money for #techmums, a charity which empowers women through technology.